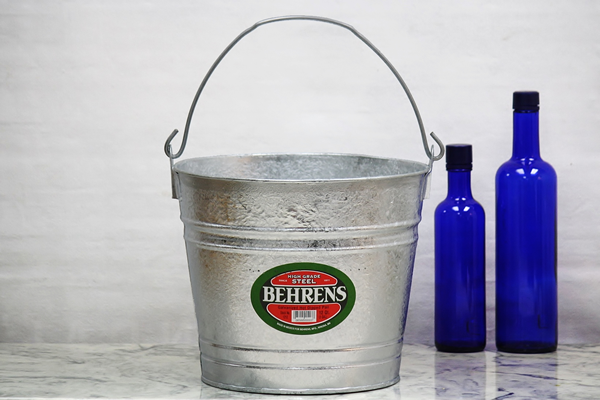 These 12-Quart galvanized buckets will last for decades thanks to their multiple body swedges, reinforced wire rim, offset bottom, and durable handle. Their hot-dipped finish makes them corrosion-resistant and watertight. Use them to store and transport materials for your next home improvement project. You can even stick this bucket on your porch and fill it up with footballs, baseballs, and all your outdoor toys. We also offer this bucket in 8 quart, 10 quart, and 14 quart sizes. See the smooth-finished 12 quart electro-galvanized steel style here. These came a day or two after ordering and were in great shape.